Great is Thy faithfulness! Morning by morning new mercies I see. 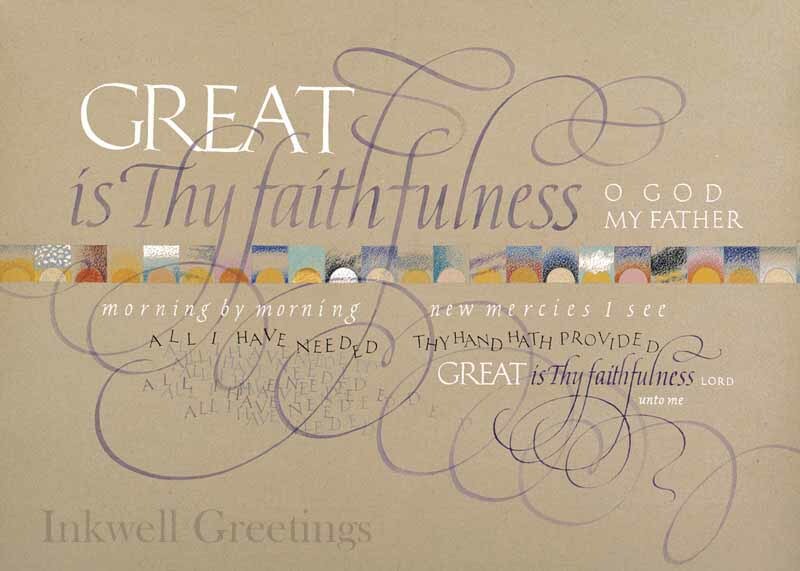 All I have needed Thy hand hath provided Great is Thy faithfulness, Lord, unto me!